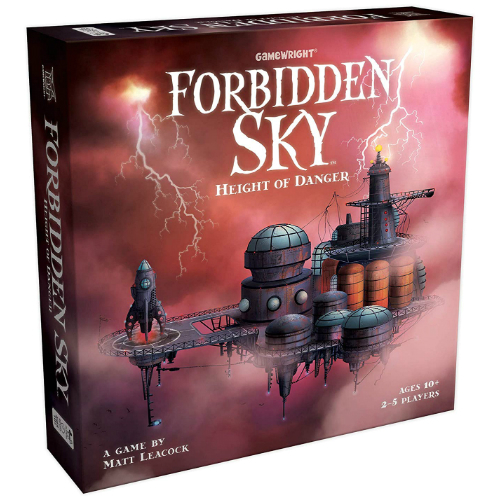 Forbidden Sky Height of Danger Game has players soaring to dizzying heights in this electrifying cooperative adventure. 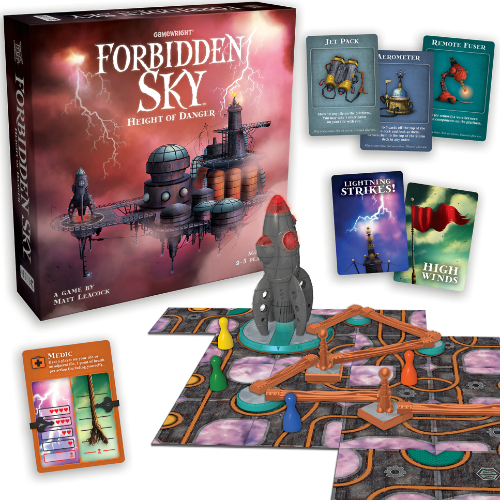 Work as a team to explore a mysterious platform that floats at the center of a savage storm. 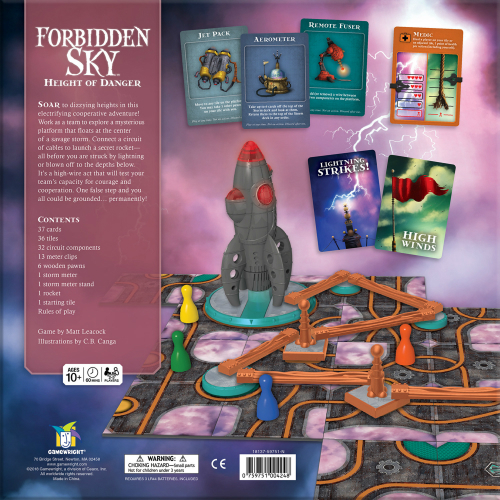 Connect a circuit of cables to launch a secret rocket all before you are struck by lightning or blown off to the depths below. It's a high-wire act that will test your team's capactiry for courage and cooperation. One false step and you all could be grounded permanently. 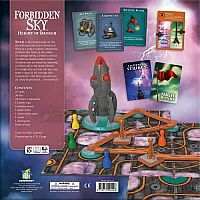 For 2 to 5 players. Game play is approx. 60 minutes. Measures approximately: 11.50 x 11.50 x 2.75 inches..